Because they're not looking at a video or a smartphone screen, it may be difficult for anyone today to imagine rows of youngsters, just sitting at tables facing one another, quietly focusing on a game of chess. 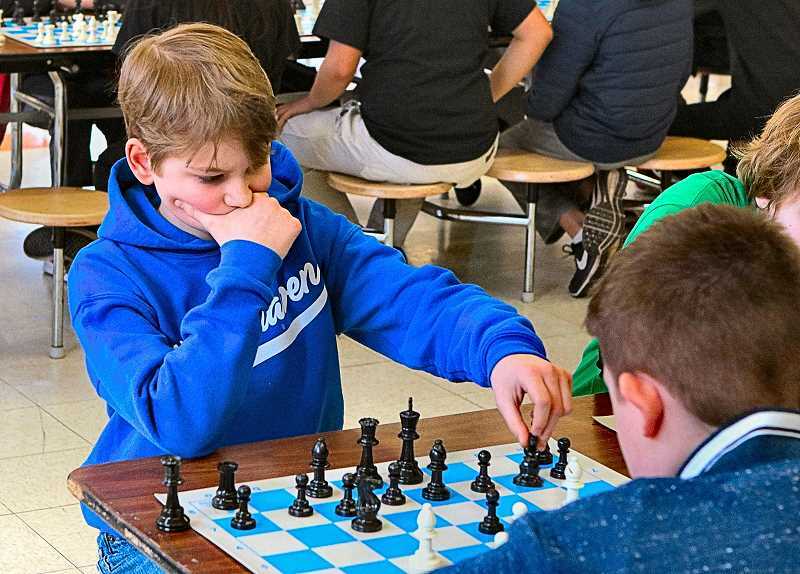 But that's the way it was all day along at Harrison Park Elementary School in East Portland on February 23 – as elementary and middle school students in the area competed in the Chess for Success Region 7 Tournament. A forecast snowstorm earlier in the month delayed the competition, but it was rescheduled in time for the champions of these regional games to go on to the Chess for Success State Championships held in early March. "Chess for Success is a Portland-based nonprofit organization whose mission is to help children succeed in school, and in life, through learning to play chess," explained their Program Operations Director Richard Crockett, the Director of the day's competition. "Today is the region's elementary tournament, with about 65 youngsters playing; and the middle school tournament, where 120 students came to compete," Crockett told THE BEE. "Most our players belong to Chess for Success sponsored after-school clubs; but, others just loved learning the game of chess on their own, and are welcome to come and compete." Not just a recreational after-school club, Chess for Success can provide educational support, at no cost to families, which has been proven to help close the "achievement gap" for economically-disadvantaged and minority youth, Crockett pointed out. "Through our scores of volunteer chess mentors, students also learn life skills – such as to sit down, be quiet, ignore everything going on around them, focus, and then think," Crockett remarked. As another match began, the cafetorium fell silent as players focused on the game in front of them, and nothing else at all.